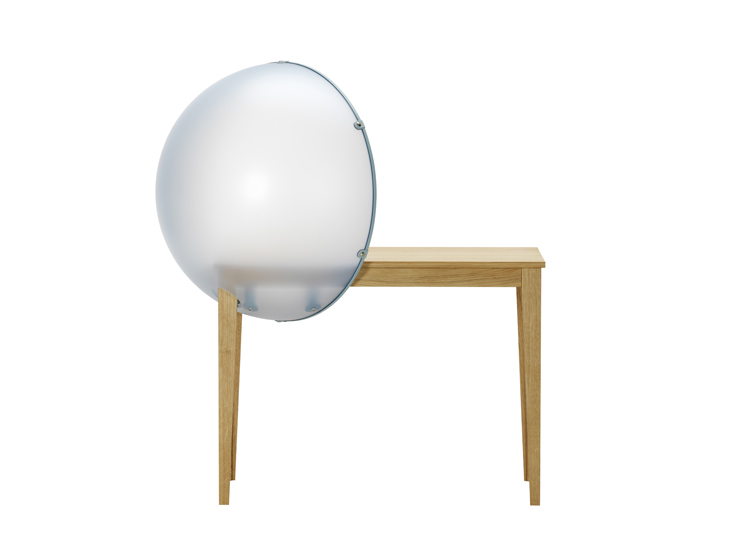 Material: Table: solid wood with oiled finish, natural oak. 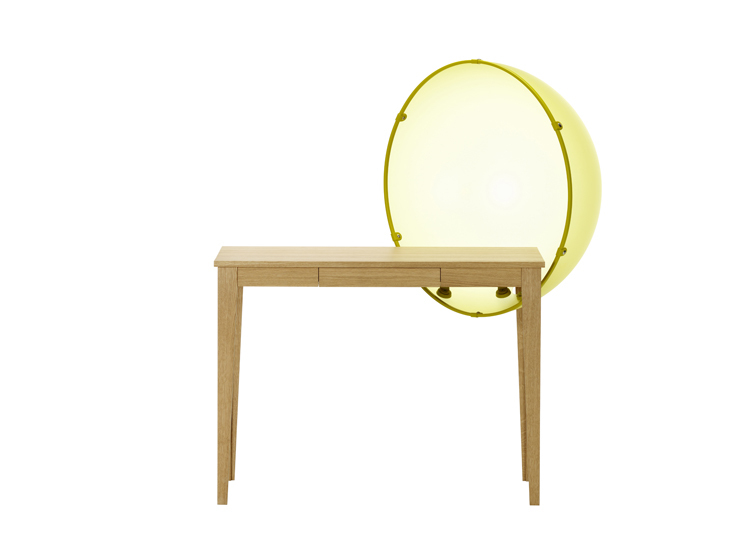 Hemispherical shell and drawer bottom: dyed-through acrylic glass. Metal elements: powder-coated steel, matched to shell colour. 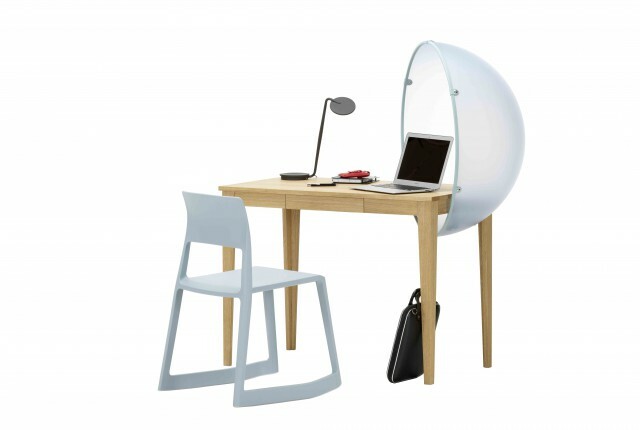 The Sphere Table was developed as part of the redesign of the North Delegates Lounge at the seat of the United Nations in New York that Hella Jongerius was commissioned to complete. As part of the plan of the general overhaul of the building, she integrated specially designed furniture. 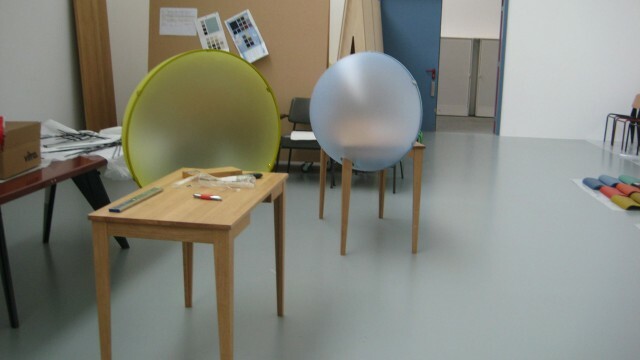 The Sphere Table is the first of these pieces that Vitra is now putting into industrial production.